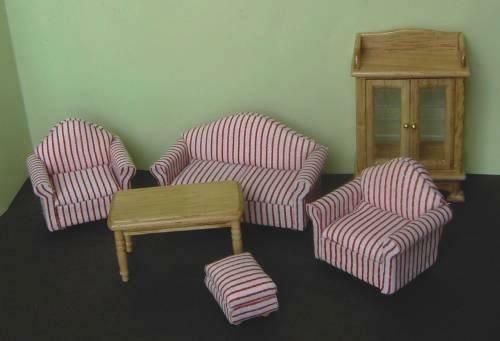 1/24th scale Living room set of 7 items. Sofa and 2 chairs, fireplace, 2 tables and sideboard. Drawers and doors open. Mahogany finish.